Many people substitute diet drinks containing artificial sweeteners for sugary drinks in the hopes of reducing their diabetes risk. However, new research suggests that artificial sweeteners alter the gut’s response to glucose in a way that could actually worsen diabetes risk. At the 2017 meeting of the European Association for the Study of Diabetes, researcher Richard Young described a small study in which he and his colleagues compared the effects of artificial sweeteners to those of placebo in healthy adults. Seventeen participants consumed an amount of artificial sweetener equivalent to what would be found in 1.2 to 1.5 liters of diet beverage per day for two weeks, while 16 participants received placebo. Young and colleagues determined that glucose absorption and glycemic response increased in the participants who consumed the artificial sweetener. Those who consumed the sweetener absorbed 20% more glucose than those in the placebo group. While before the study the two groups had similar blood glucose levels, these rose by 24% in those who consumed the artificial sweetener. Consuming artificial sweetener also seemed to affect the gut peptide GLP-1, which limits the rise in blood glucose after meals. The two groups had similar GLP-1 responses before the study, but after consuming artificial sweetener, participants showed a 34% reduction in GLP-1 response to glucose absorbed in the intestines. Changes like these could increase the risk of type 2 diabetes. Young explained that artificial sweeteners may reduce the body’s ability to control blood sugar levels, leading to high glucose, and possibly predisposing those who consume artificial sweeteners to type 2 diabetes. Young and colleagues have previously found that switching from sugar to artificial sweeteners does not predict a lower risk of type 2 diabetes. This study was the first of its kind in humans. 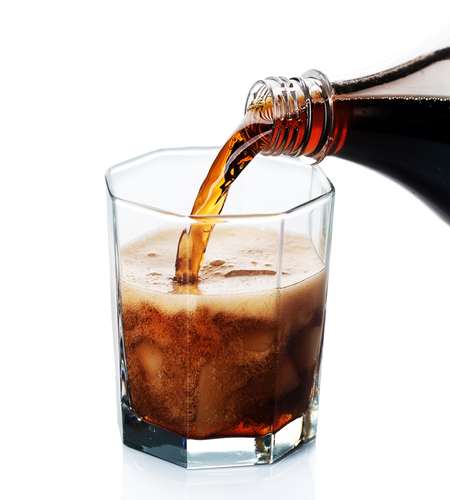 Larger studies will help to clarify the effects of artificial sweeteners on glucose control.